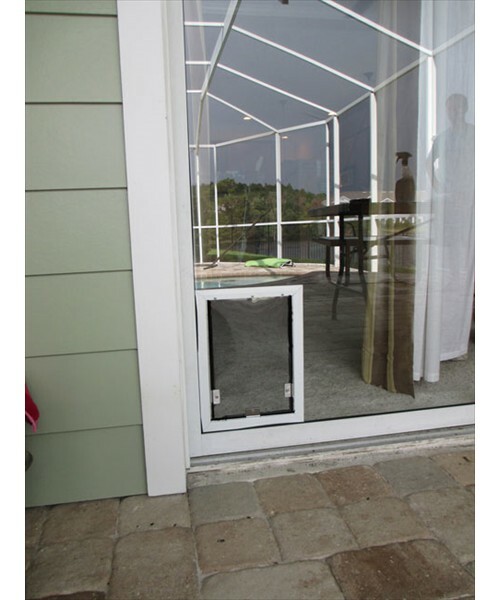 Glass Maxx's pet door installation services let you install a pet door ANYWHERE! Whether in-glass, in-door, or in-screen, we can offer affordable solutions for your pet access needs. We offer the finest products from trusted national vendors to give your pet an access point that is built to last. Replacement parts are available and easy to install without calling for service. 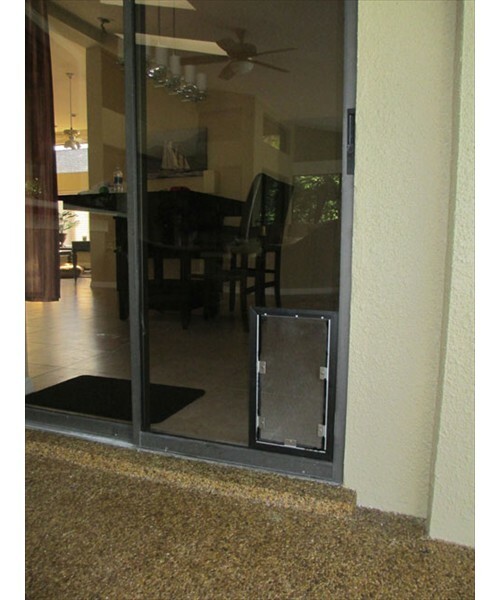 Call Glass Maxx today at 813.777.7594 to discuss your pet door needs. Glass Maxx's ability to install pet doors in glass means you can now install a pet door anywhere in your home, including double-pane, insulated glass patio doors! We offer a wide variety of color and finish options to ensure your new in-glass pet door matches your home's decor perfectly. Worried about the sliding screen door? 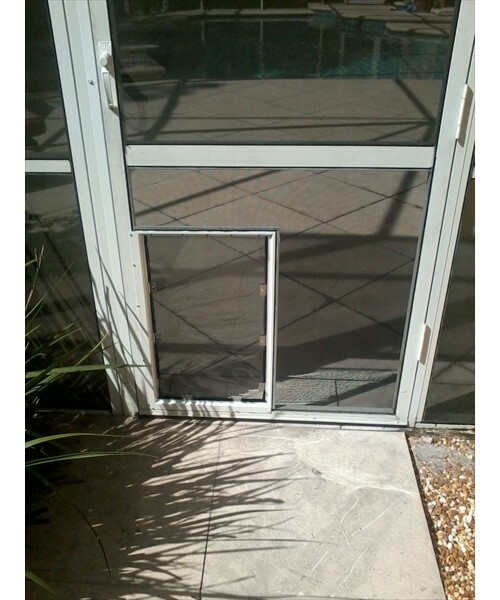 That's no problem for Glass Maxx's professional pet door installers. Pet doors from Glass Maxx are easy to secure thanks to a built-in security cover and lock that secures your pet door from the inside. 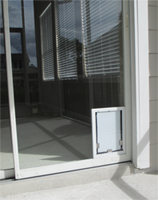 Whether you want to control when your pet has access or need to lock down your home when you leave for an extended period, the pet doors from Glass Maxx are just as easy to secure as a regular door or window. Whenever you add an access point in your home, you should always consider how it will impact your heating and cooling costs. Glass Maxx provides pet doors that include an auto-latch feature built into the flap that ensures your new pet door reseals itself after each use. Plus, Glass Maxx installed pet doors include exterior weather stripping to insulate your pet door just as effectively as your doors and windows. 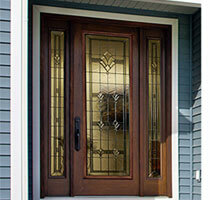 Most of the fiberglass and metal doors in use today can easily accept pet doors. Side panel pet doors are the best choice for those who want a simple solution. 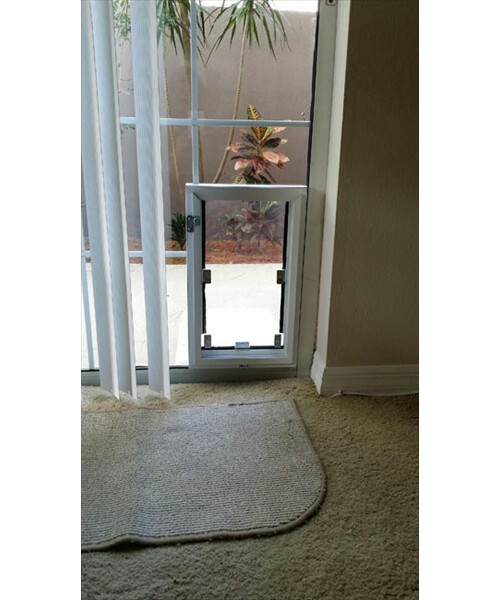 This option works well for renters as the pet door can be removed and the panel replaced without much effort. 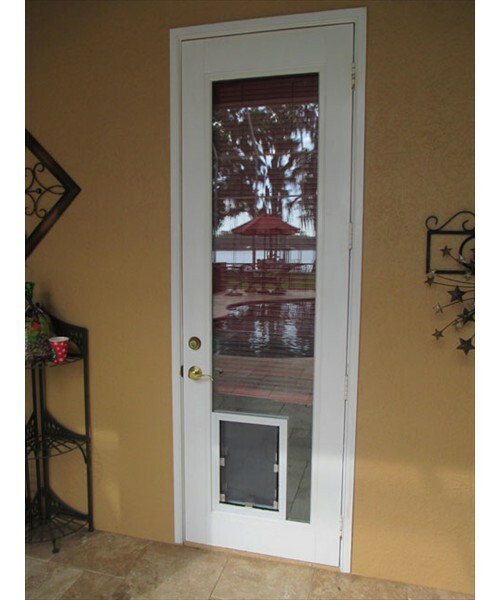 Screen doors are also a great place to install a pet door. 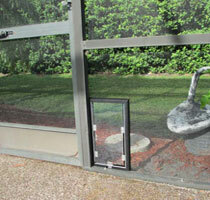 Allow your pet access to the outside without letting in unwanted pests. 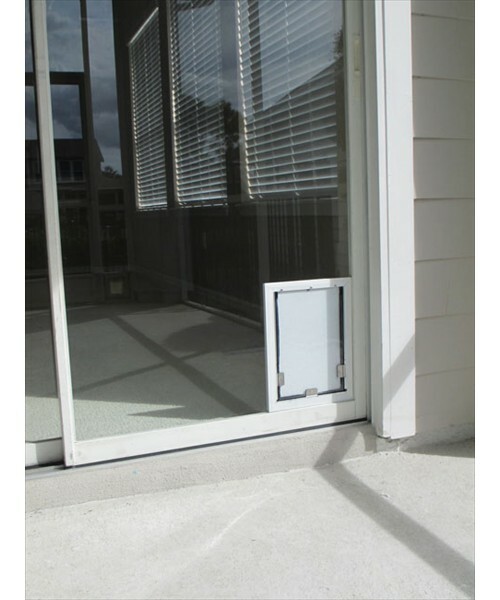 The in-screen pet doors can be mounted in screen doors as well as pool screen enclosures. 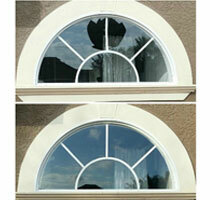 Schedule your FREE, no-obligation estimate with Glass Maxx today!